Dunn’s most recent endeavor is the romantic drama, Endless Love, starring newcomer Gabriella Wilde and relative newcomer Alex Pettyfer, whom Dunn recently worked with in The Butler. Director Shana Feste, who wrote and directed The Greatest and Country Strong, co-wrote Endless Love and, according to Dunn, did not try to remake the 1981 Franco Zeffirelli-helmed feature of the same name. Rather she wanted to go back to the roots of the 1979 book by Scott Spencer, grounding the story in the reluctance of the father (played by Bruce Greenwood), the burgeoning love of Jade Butterfield – his protected princess – and David Axelrod – the boy from the wrong side of the tracks. The ethos on the set of the Endless Love seemed a lot like falling in love: no obvious stepping stones, and a kind of surrender to the vagaries of the creative process. That’s not to say things were chaotic, which young love sometimes tends to be; but rather a place where creativity ran free. Dunn, who shot on ALEXA with Panavision Primo zooms, encouraged all to embrace the fluidity of romance unfolding through his lens. Dunn’s experience was also invaluable in helping to teach the young leads how light and camera movement can enhance their performances. 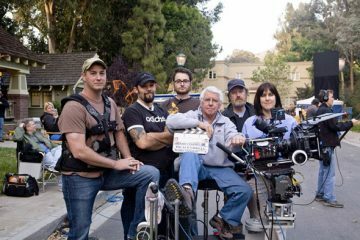 Part of that workflow came from using multiple cameras, which Dunn did with his A-camera (operated by Billy O’Drobinak) on a crane facing the fire, and cross shooting with two more. One of the pivotal scenes in the film – which was also in the original – is when the young leads make love for the first time in front of a fireplace. Dunn’s gripe with using a digital camera system to capture a moody drama is the amount of information revealed in the shadows that he might otherwise not want to be seen. “Keeping that darkness is enhancing that sensuality,” explains Dunn, whose warm palette paired the Primo zooms with Schneider Black Frost™ Filters and nets on the back of the lenses that he picked up in Istanbul a number of years ago. Part of what attracted Feste to the three-time BAFTA winner, who also shot the Oscar nominated drama Precious: Based On The Novel “Push” by Sapphire, is Dunn’s eagerness to throw out past techniques and start each film completely fresh. “Some filmmakers [cinematographers] do adopt certain styles,” he reflects. “But I try and forget everything before each project. Shana knew my work and liked the fact that I take on a variety of projects.” In fact, their first conversation was via Skype, when Feste was four-and-a-half months pregnant, and they didn’t meet in person until Dunn flew to Atlanta five weeks prior to principal photography. This is Dunn’s fourth film in Atlanta, but the first one where the story actually takes place in Atlanta. Twenty years ago he shot Simple Twist of Fate with Steve Martin, then Sweet Home Alabama in 2002, and Life As We Know It in 2010. Virtually all locations for Endless Love were practical, except for David’s bedroom and the house that gets set on fire. One such location was an outdoor pool in the affluent Buckhead, where the fictional Butterfields reside. 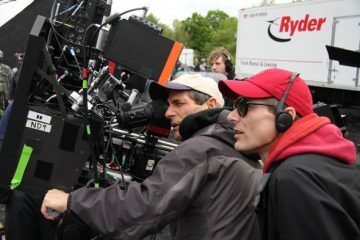 Despite the rainy and overcast day, underwater DP Marc Dobiecki says he was able to capture many moments of the young lovers frolicking to evoke innocent romance.